In 2014, the Historical Society of Pennsylvania (HSP) began a long-term partnership with Wells Fargo & Company to create a comprehensive and unique center for historical education and discovery. As one of the nation’s most significant archival collections, spanning the 17th to 21st centuries, HSP values the shared documentary heritage encapsulating our collective history by preserving and making these materials accessible to everyone. With Wells Fargo’s generous support, HSP seeks to become a national center for history education by delivering its document-based learning approach to educators and students throughout the region and beyond. The new initiative, under the title “HEAD for the Future” (History, Education, and Documents), is designed for educators looking for a more holistic method of teaching that helps their students establish tactile connections to the past. An examination of the documents that tell of our collective history creates an instant rapport with people from the past. These experiences also can build literacy skills, critical and creative thinking abilities, and empathy for others—all vital 21st century skills addressed in curriculum standards and employers’ preferences. HSP and Wells Fargo are creating a multi-tiered resources to assist teachers in this work, such as online curricula, student support for local students though field trips and outreach programs, and teacher training. HSP’s effort to improve these skills in students reflects a number of Wells Fargo’s philanthropic priorities, including education, cultural opportunity, and civic development. 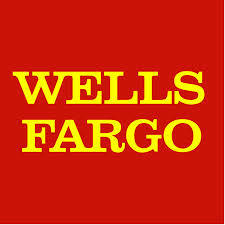 In addition, this new collaboration between HSP and Wells Fargo builds upon previously successful partnerships. In 2012, HSP, with support from Wells Fargo, embarked on a three-year archival conservation project that is physically preserving and making accessible the records of the Bank of North America—the nation’s first central bank and predecessor of Wells. The Bank of North America records are one example of the nationally important collections that HSP’s staff will use as the primary sources for building discovery-based lesson plans. Learn more about Wells Fargo's education initiatives.